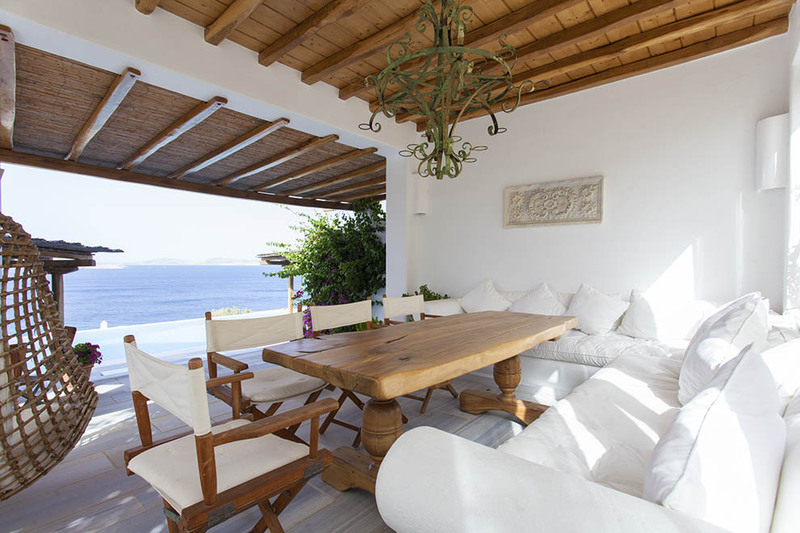 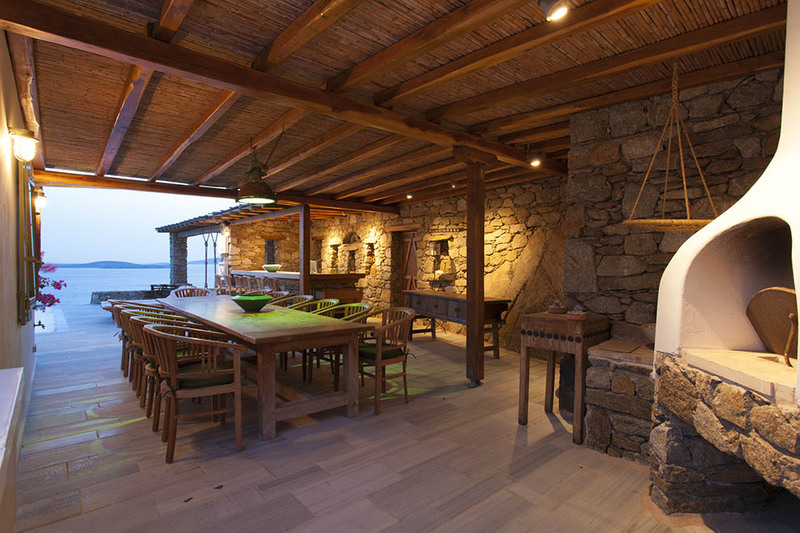 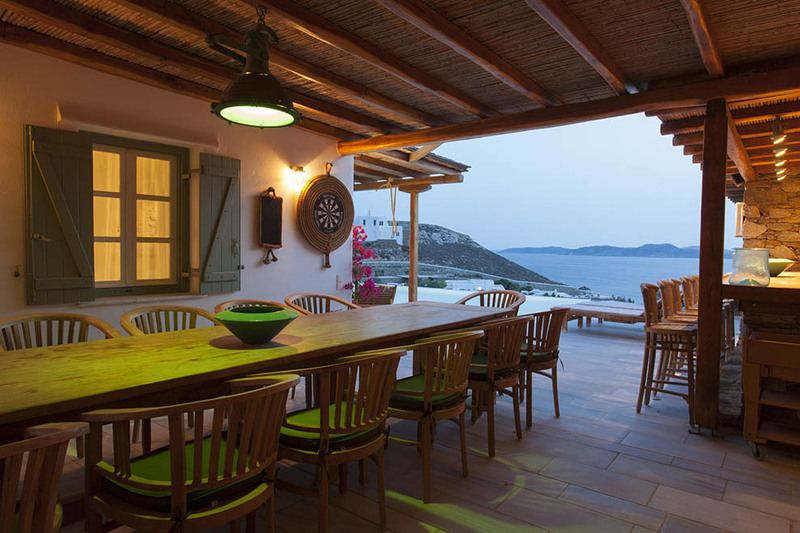 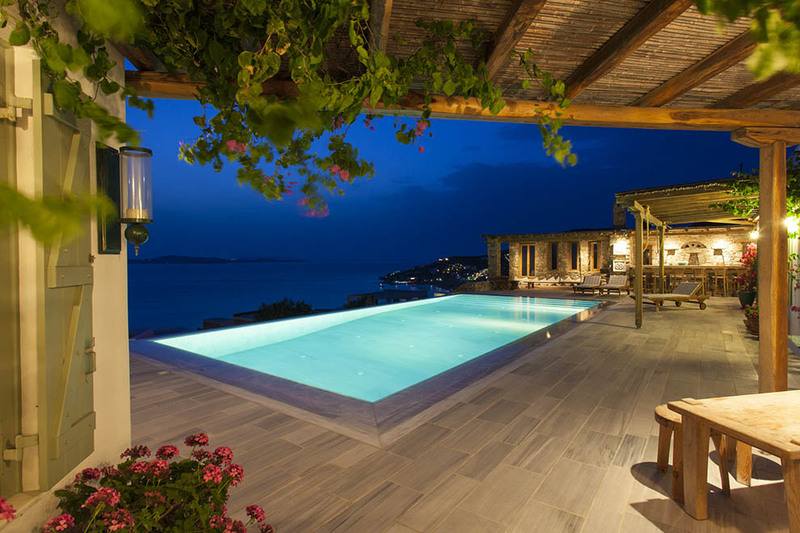 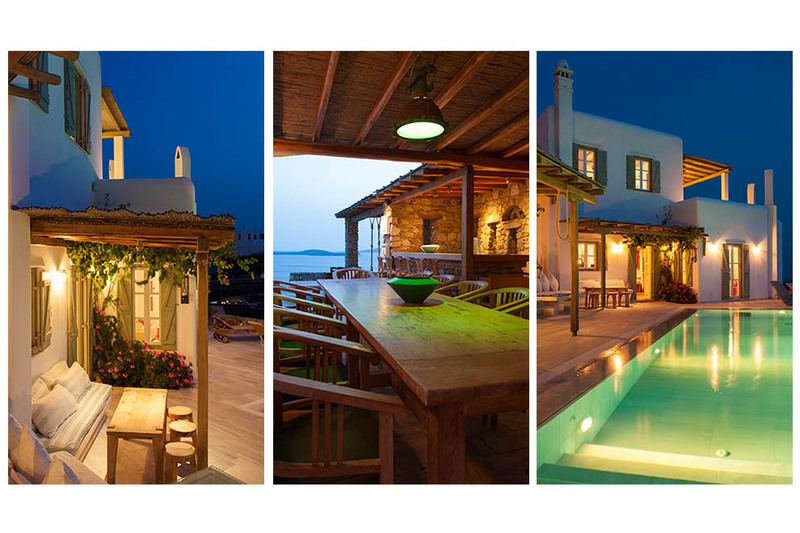 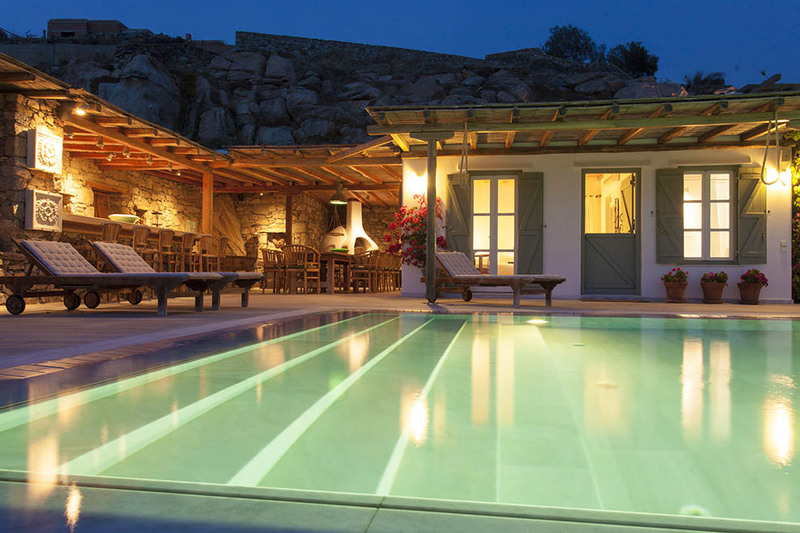 Villa “Lavimar” is situated in the south-west of Mykonos in one of the prettiest and sought after areas on the island, namely Saint John. 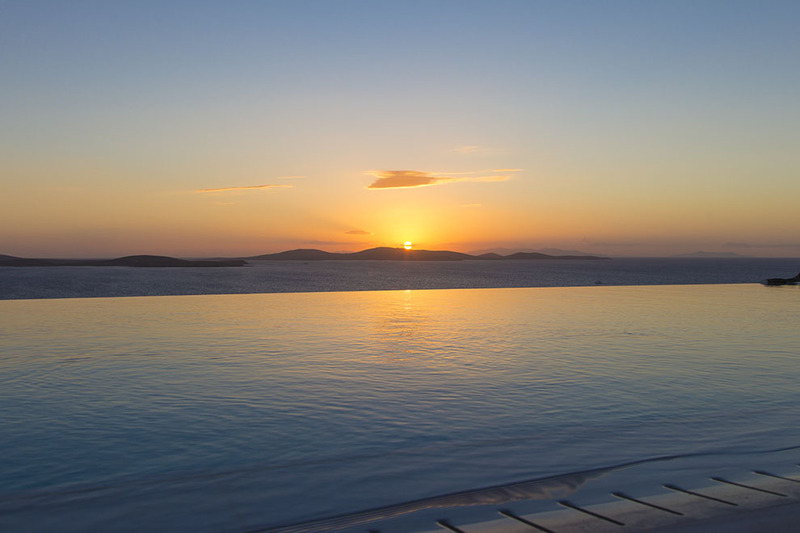 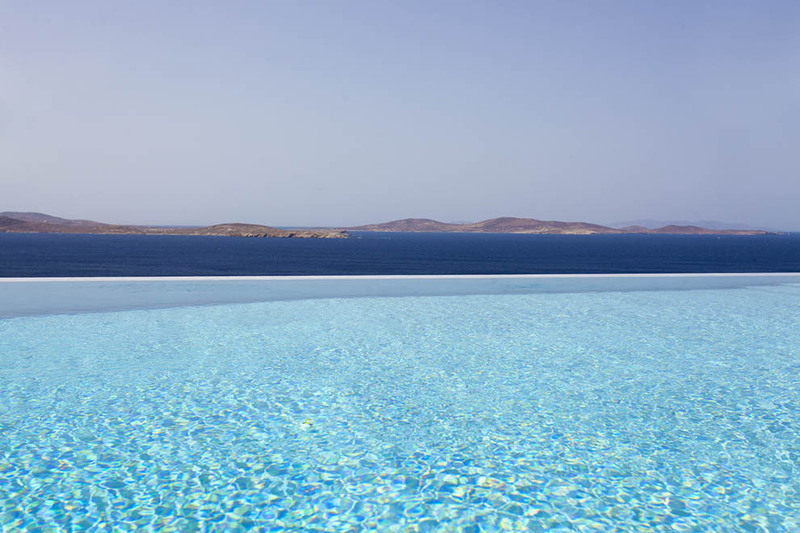 It has the privilege to enjoy beautiful scenery – a naturally created painting complemented by the endless Aegean blue along with the ancient island of Delos and the unique colours of the sunset. 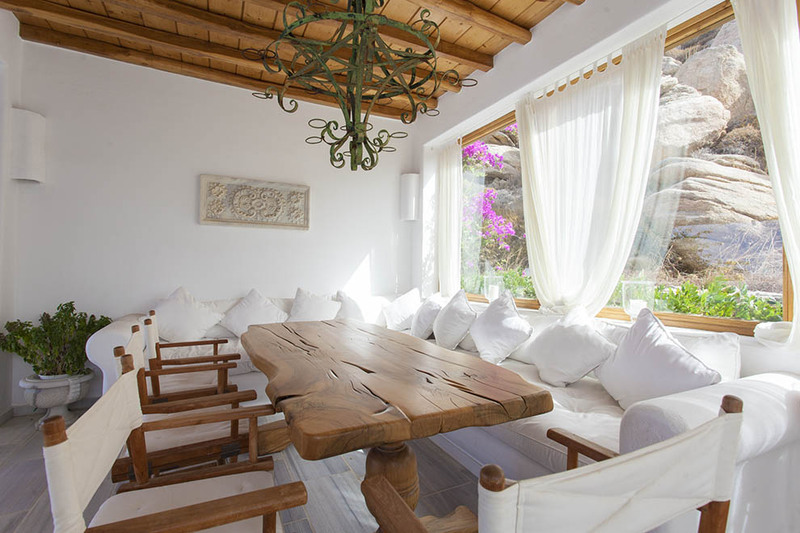 The design, style and atmosphere of this particular villa are really exceptional, exuding luxury and creating a peaceful state of mind. 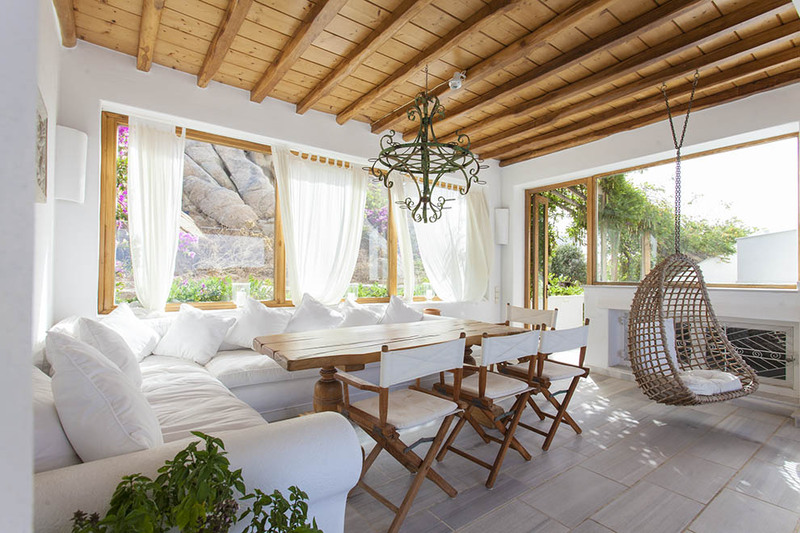 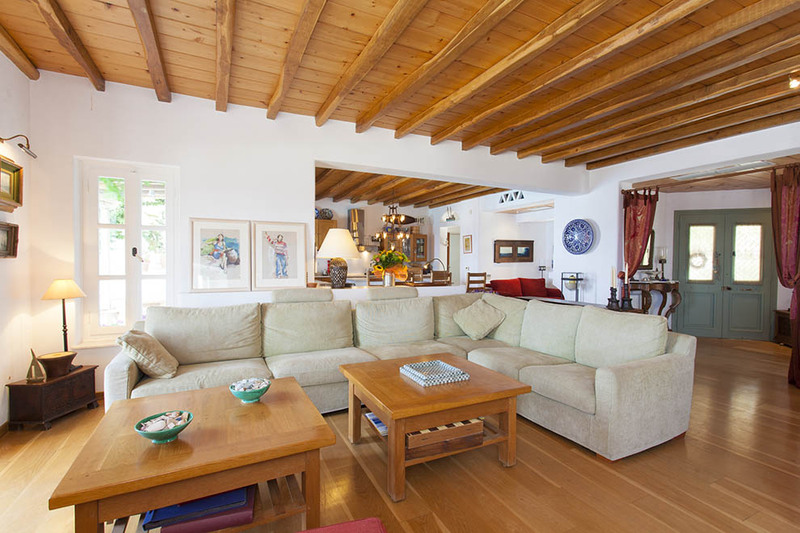 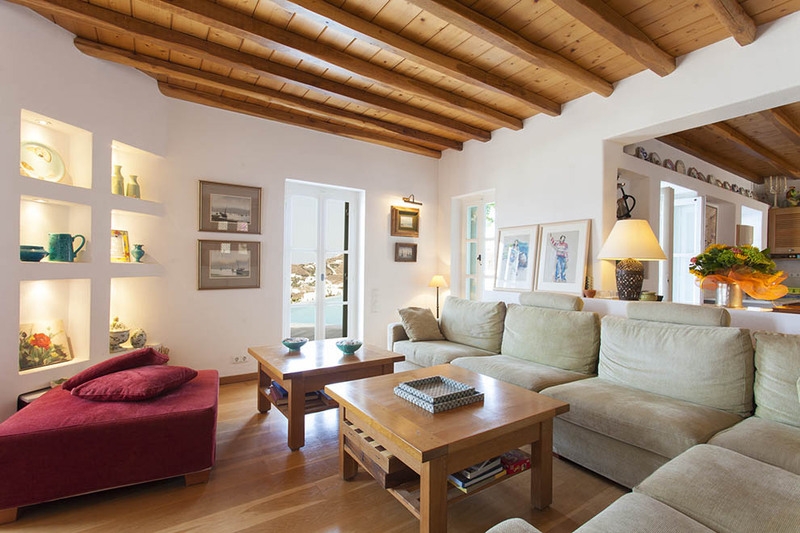 Inside, the villa unfolds basically onto two levels; there is a comfortable as well as attractive sitting room on the ground floor along with a kitchen and two bedrooms, while on the floor above there is one more master bedroom. 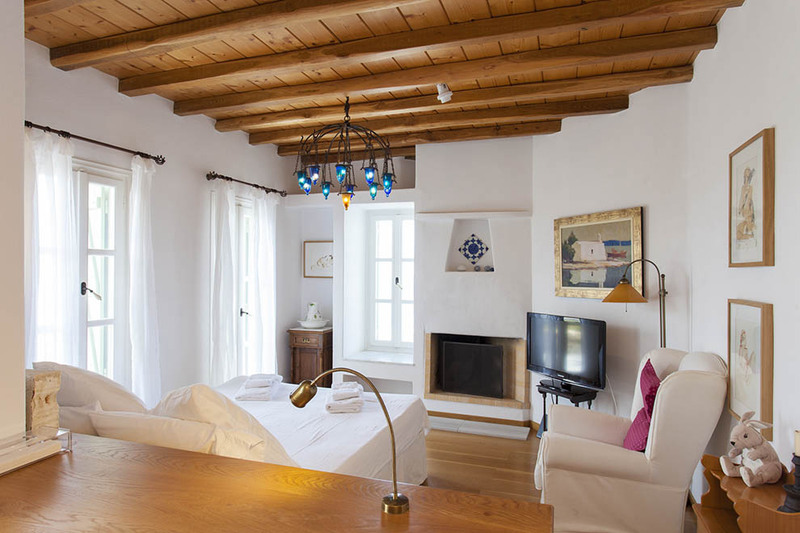 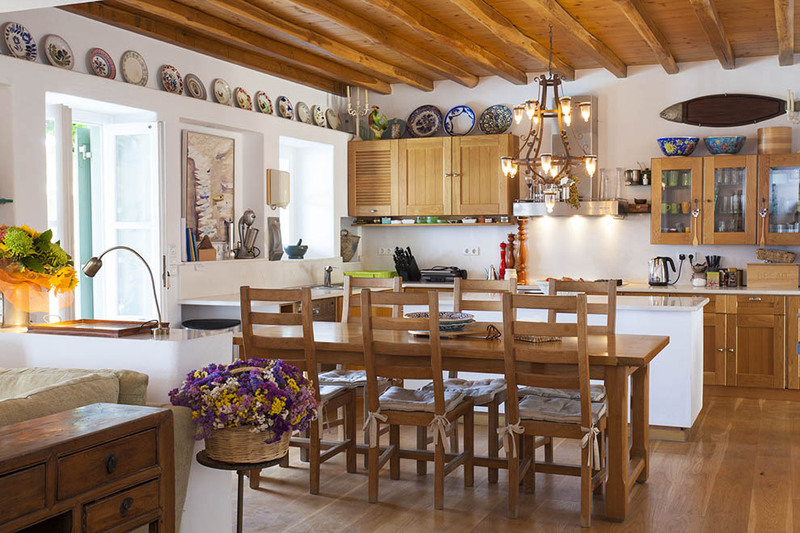 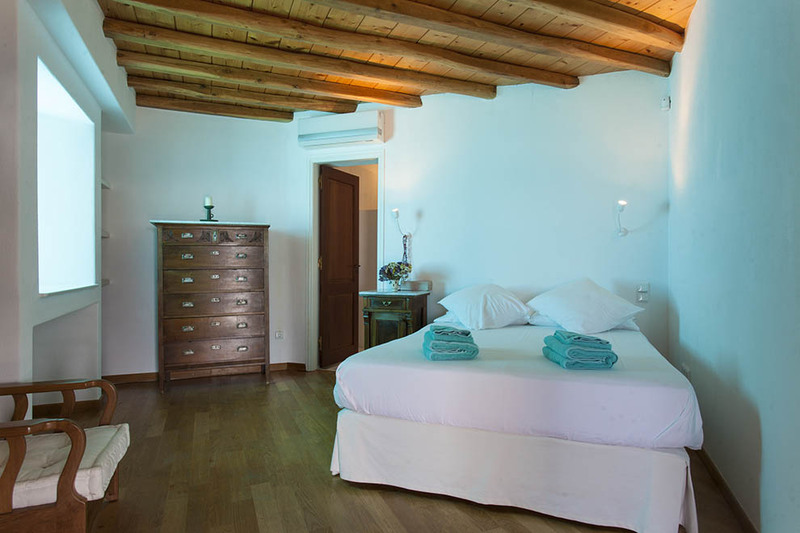 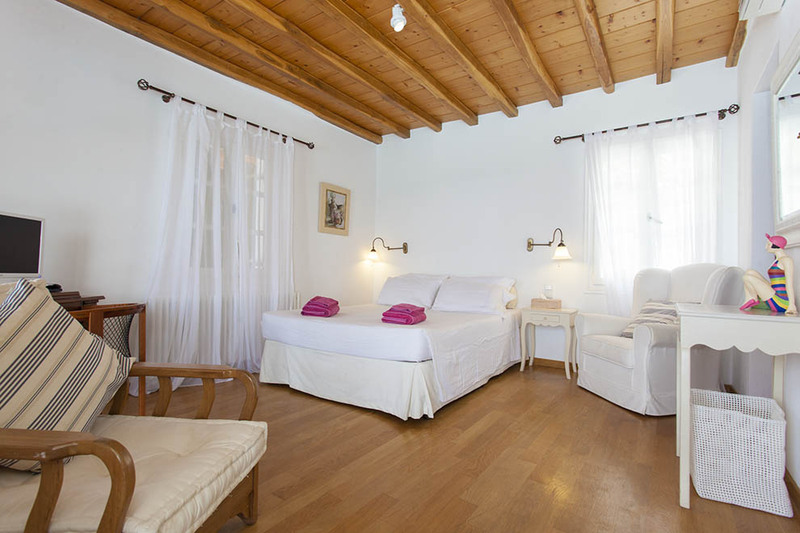 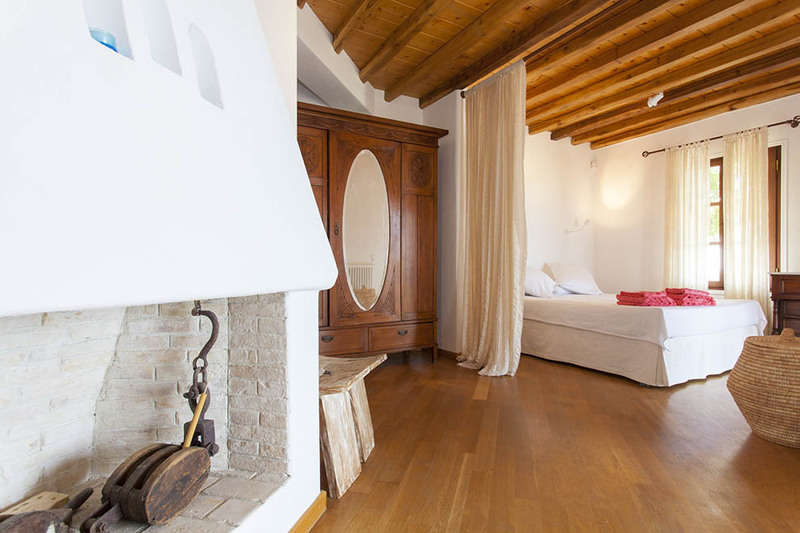 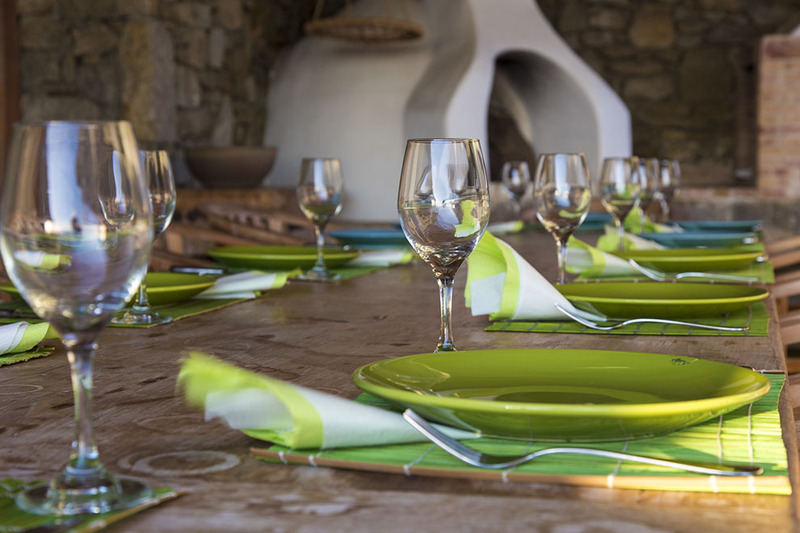 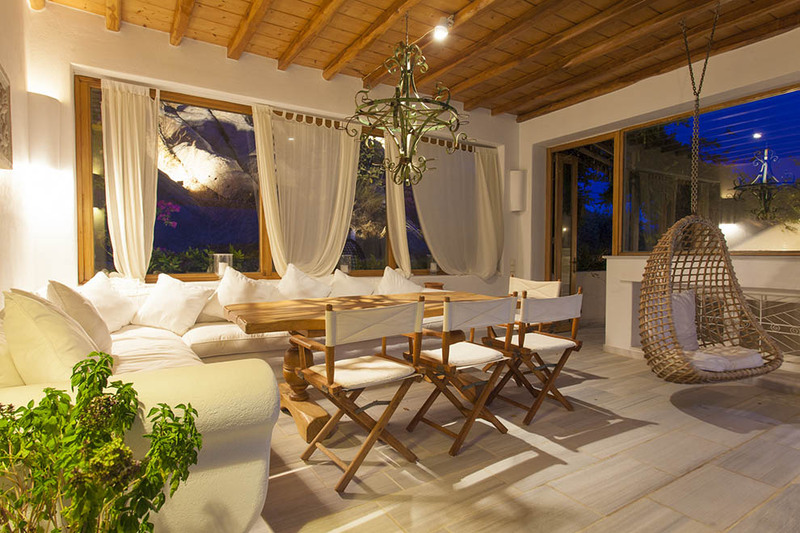 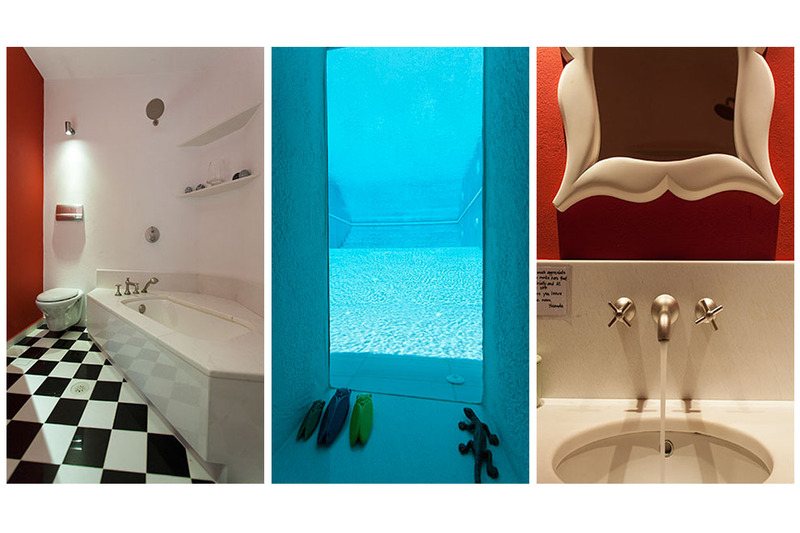 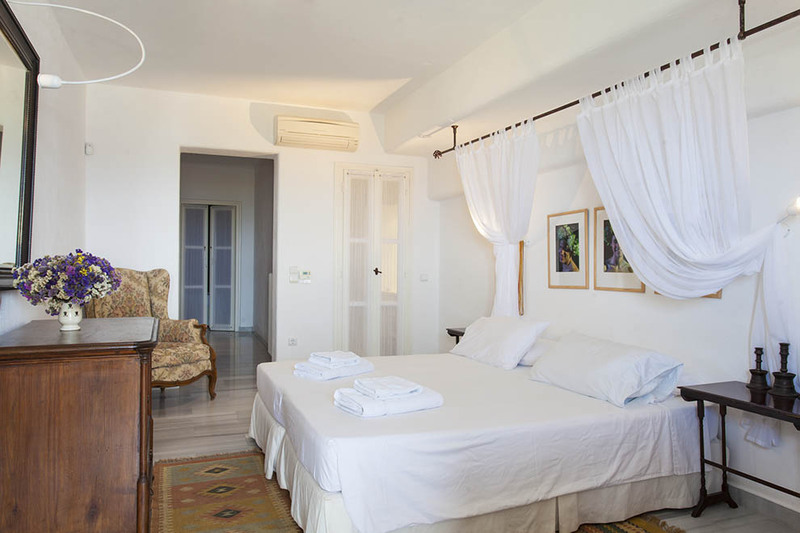 On a very distinguished point of the villa, there are three independent spacious guest houses including the necessary service rooms, as it has one for the residence of the permanent staff, a laundry room, etc. 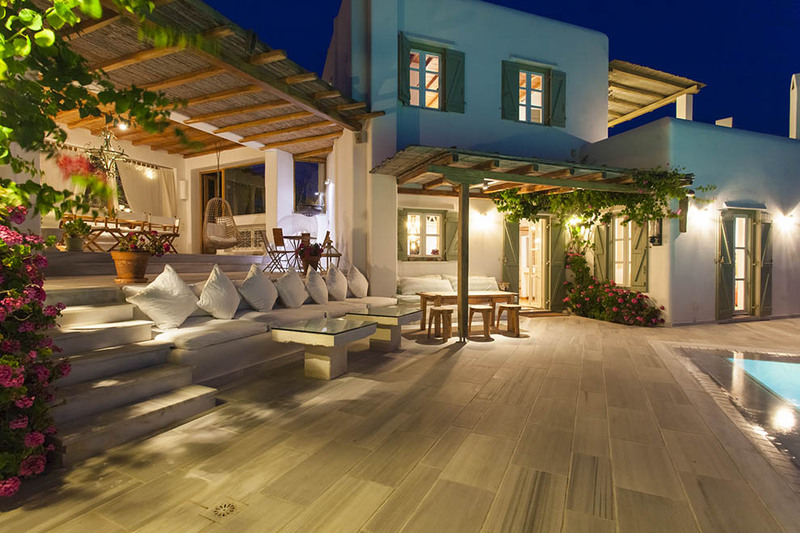 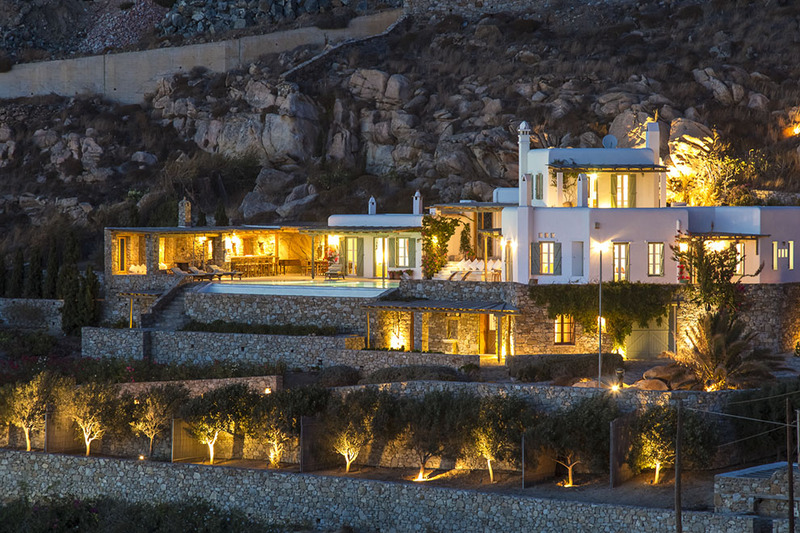 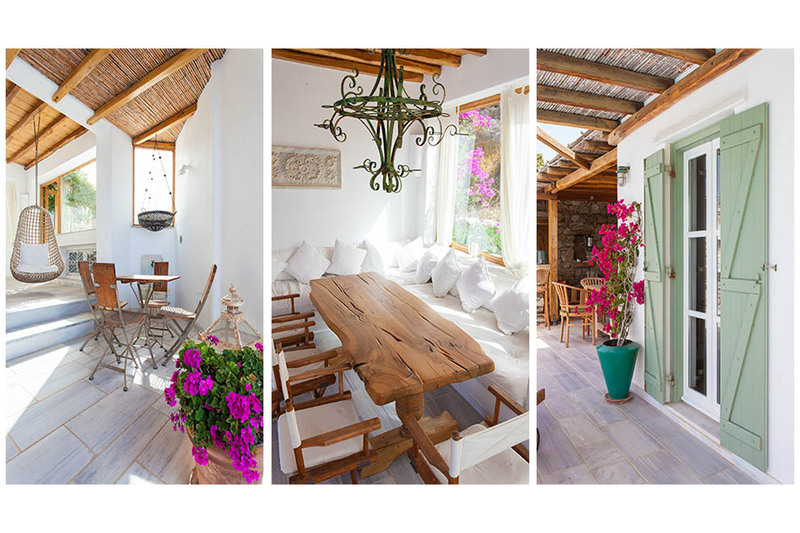 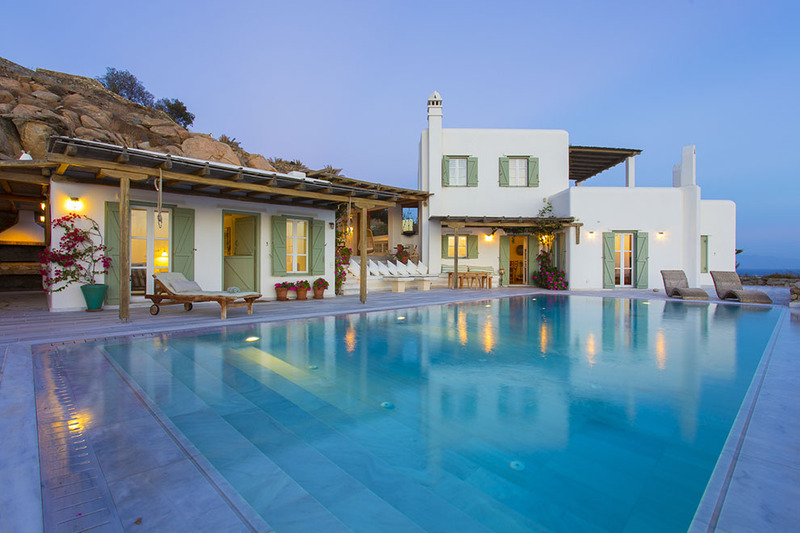 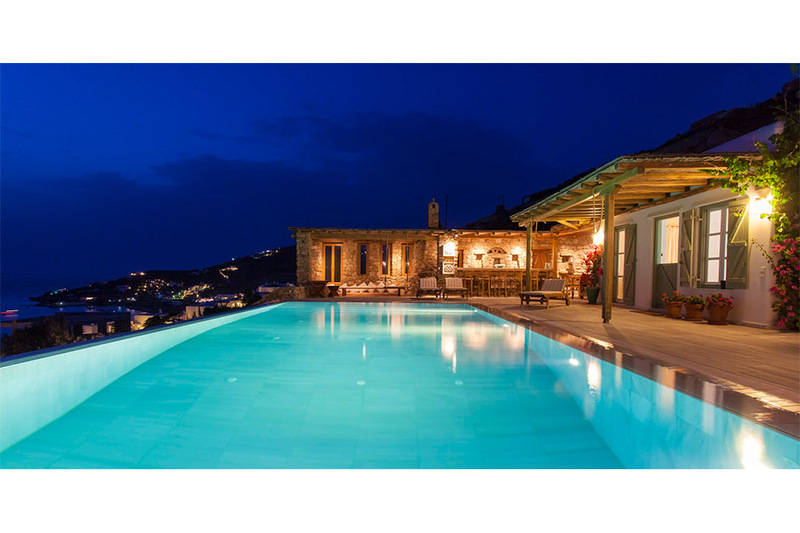 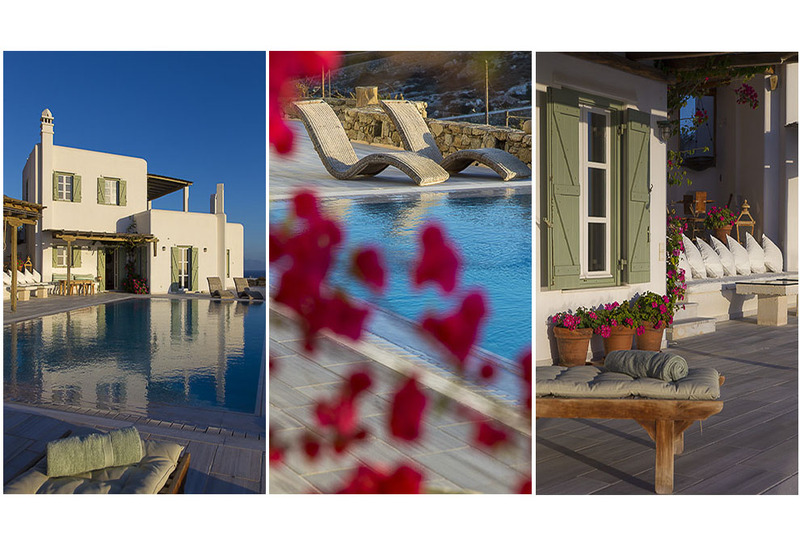 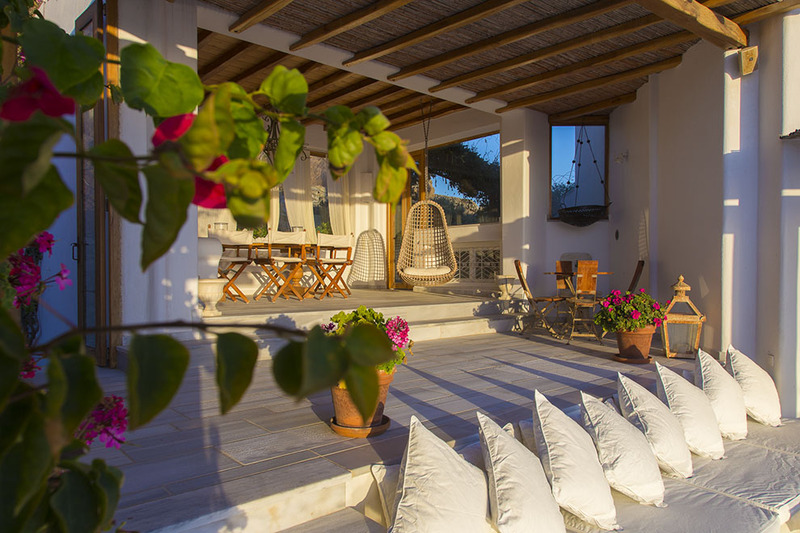 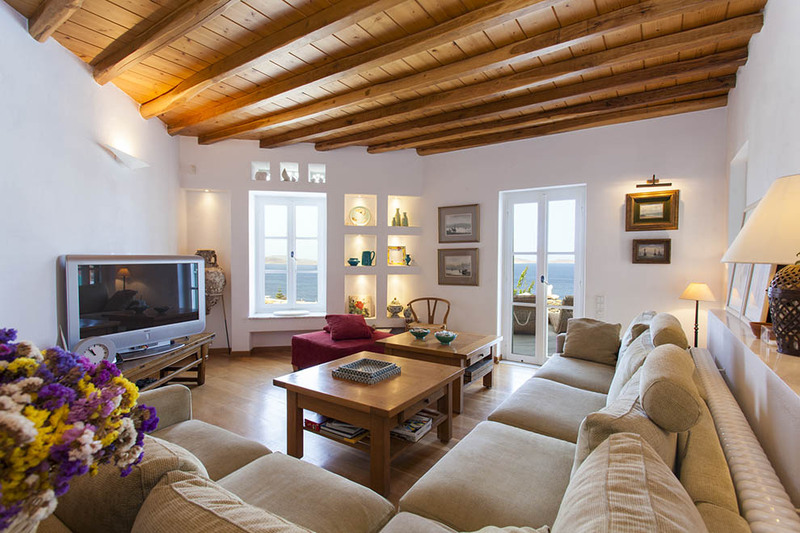 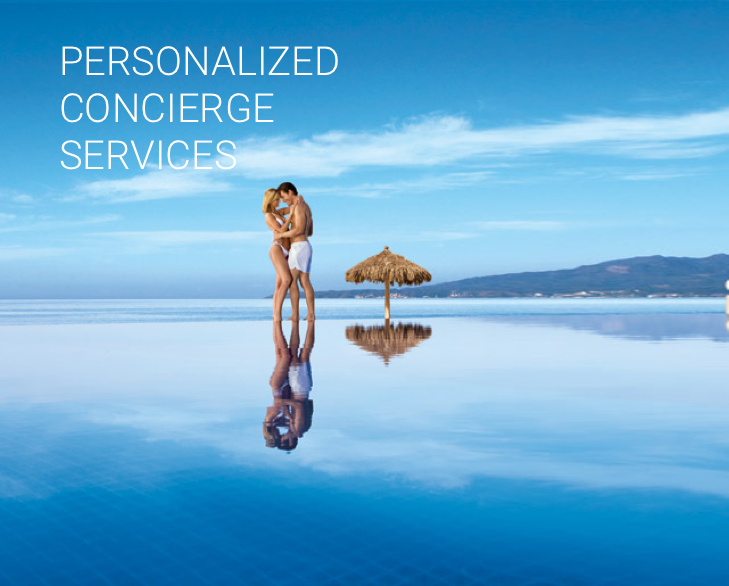 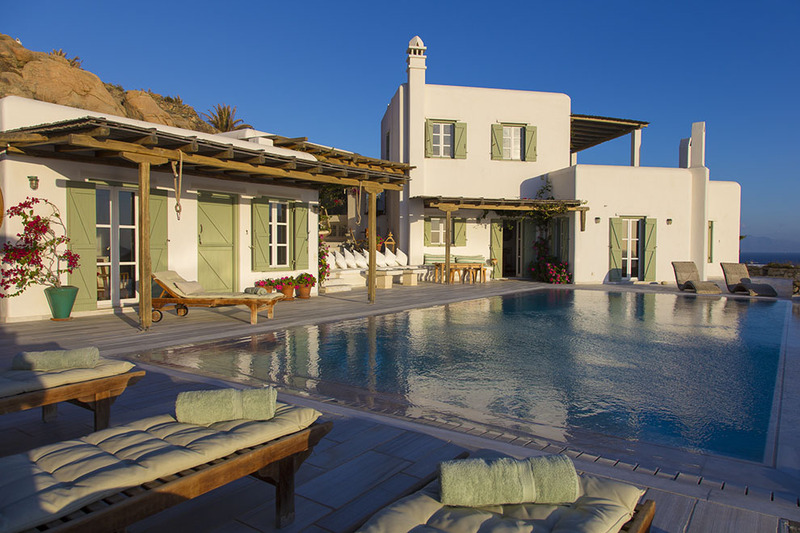 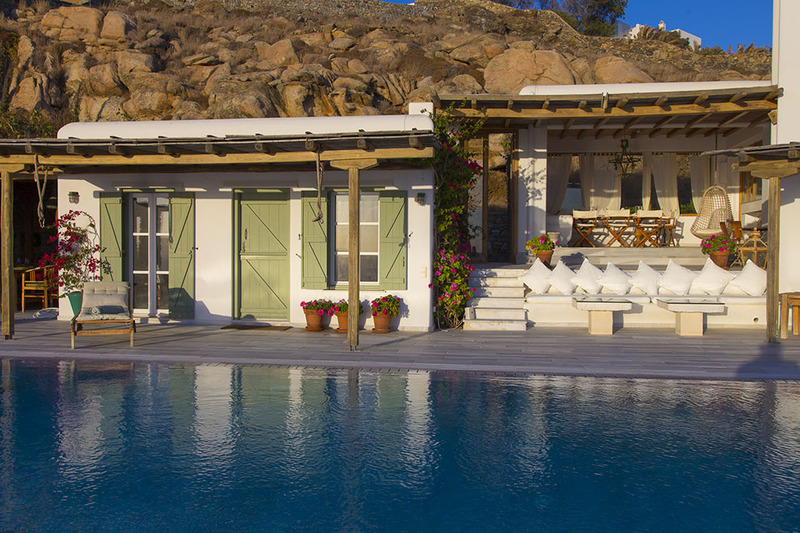 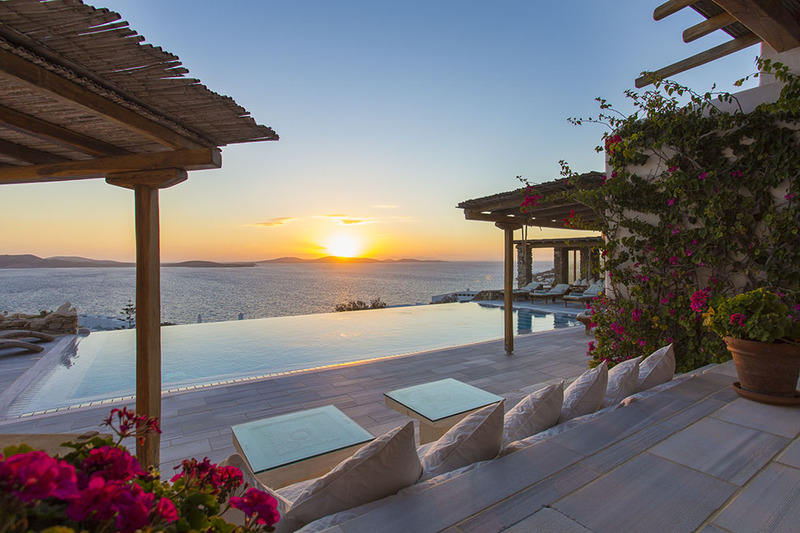 The villa is only a short walking distance from the beaches of Saint John and Ornos, and just seven minutes away from the Mykonos Town with the intense cosmopolitan life.